e2save.com is a sister company of onestopphoneshop.co.uk. We have been trading for over 16 years online. You can get great value deals on a wide range of networks to suit you. I am an existing onestopphoneshop customer. How do I claim my cashback? You will need your Order Number and email address or mobile number to login into your My Account. In your My Account area, click on the tab MY CASHBACK, where you will be able to submit your cashback claim or check your cashback status . I am looking to buy a new deal. 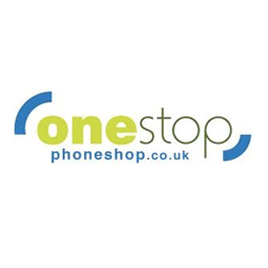 How do I purchase a contract, upgrade or Pay As You Go phone from onestopphoneshop? Whilst onestopphoneshop is unavailable, please feel free to browse our extensive range of pay monthly, upgrade and Pay As You Go offers on all the top networks with e2save.com. At e2save.com, we give our customers the best value possible on handsets from the flagship Apple iPhone 6 to the more affordable budget smartphone like the Samsung Galaxy Core Prime. Browse the rest of our website to find the right deal for you. How do I contact customer services at onestopphoneshop? - For any other information, please visit the our help desk section on e2save.com.